I heard about Sugar Mags from a coworker when I was asking where to find a great breakfast, not a mediocre one like so often I have been accostomed to recently. So, when she recommended a little spot in nearby Gloucester, Mass., I was intrigued. Voted Boston’s Best Breakfast in 2008 by “Boston Magazine,” Sugar Magnolia’s is a hot little breakfast spot located about 30 minutes north of downtown Boston in the city that is famous for being portrayed in the Mark Wahlberg/George Clooney movie “The Perfect Storm.” Gloucester is a little fishing town that has a picturesque harbor and Main Street vibe. 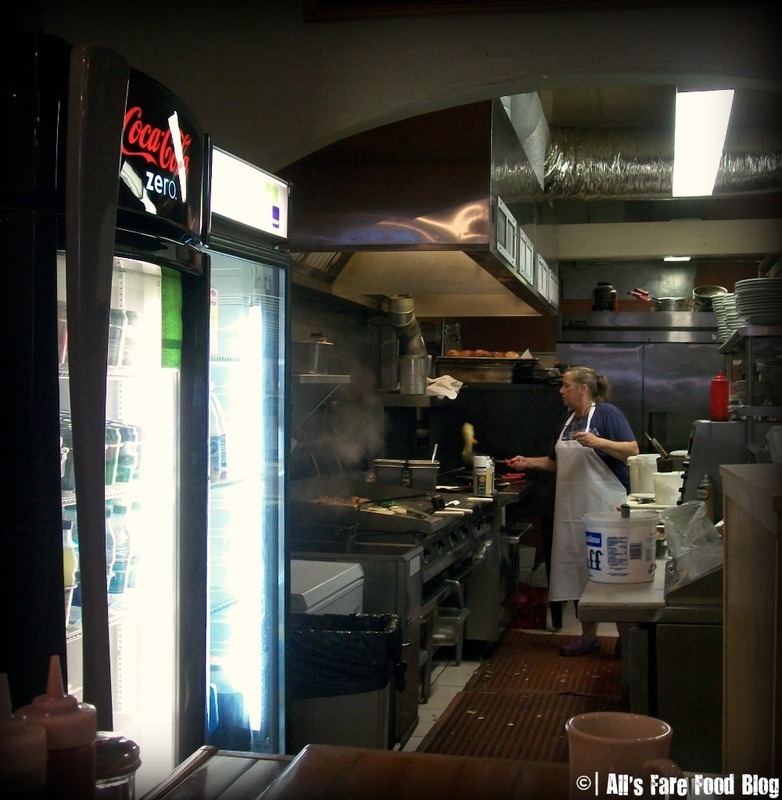 The breakfast menu is full of hearty dishes and staples like pancakes, French toast, hash, omelets, crab cakes and more. 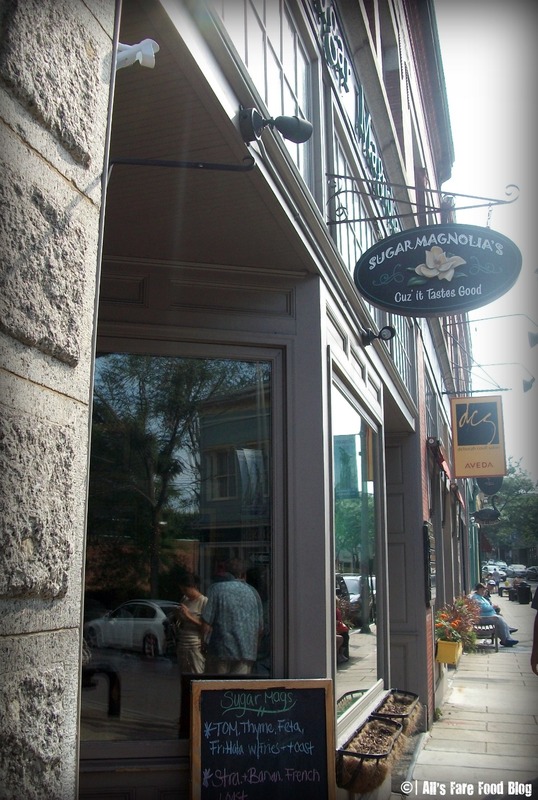 We dined on a Sunday morning earlier this fall – shortly after a street running race had completed so the streets of Gloucester were full of energy (and hungry runners). The moderate wait (about 30 minutes) was spent outside the restaurant standing on the sidewalk with others waiting for the tables. There wasn’t much space for standing inside the restaurant. Once inside, we were seated at the counter. We had to wind our way through the tight maze of tables, chairs and other diners to get there. The first item that caught my eye on the menu was the pineapple fritters. Hello? Did I hear you correctly? 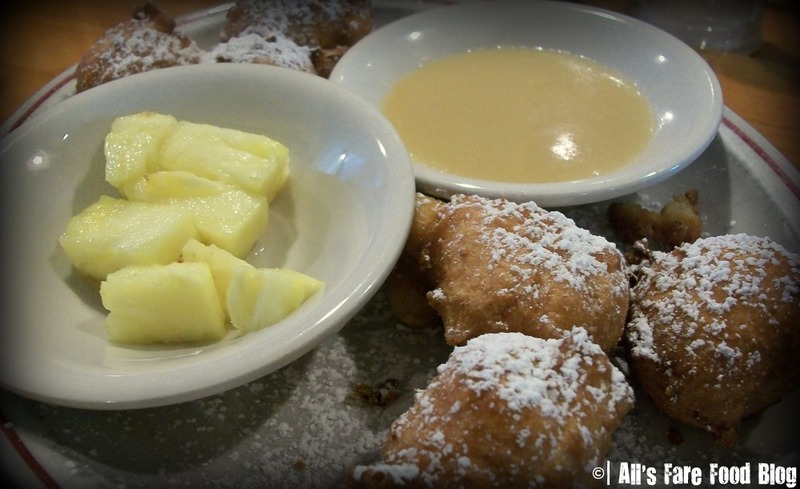 Pineapple fritters? Why, yes please! These little doughy balls of fried goodness were served with a side of pineapple tidbits and a brown sugar dipping sauce. It reminded me a lot of beignets from Disney’s Port Orleans French Quarter Resort that have collided with a luau in your mouth. 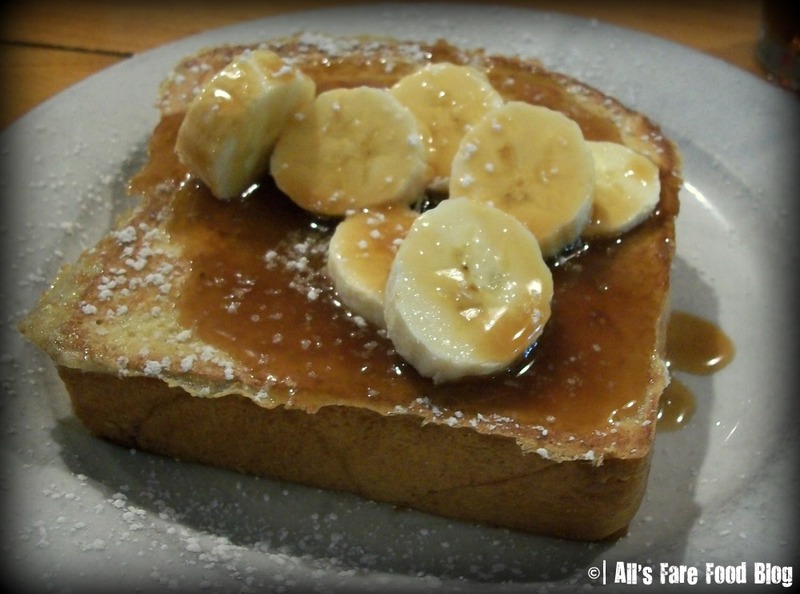 Next up, was a short stack order of the Sweet Bread French Toast – topped with bananas and syrup. This was a pretty hefty slice of thick bread – not overly sweet but enough to satiate my sweet tooth. 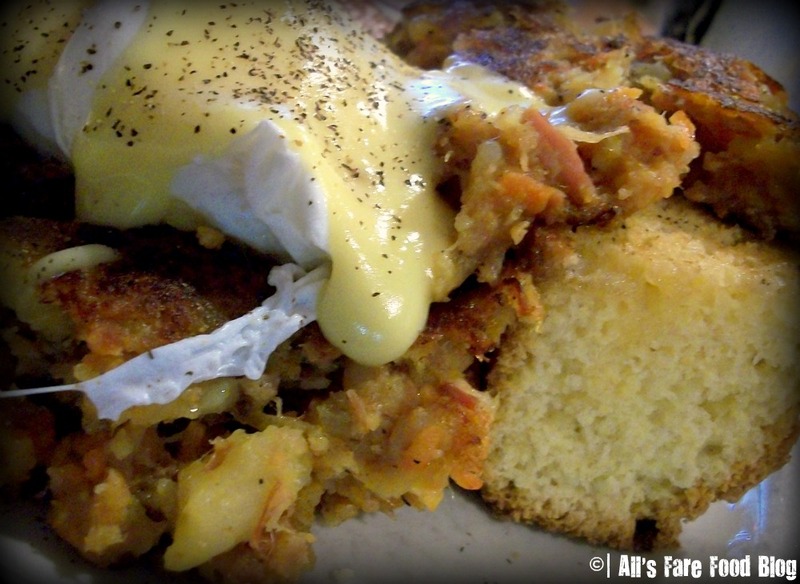 Brett ordered the Irish Bene – a twist on the classic Eggs Benedict made with Sugar Mag’s special hash, corn bread, hollandaise sauce and poached eggs. 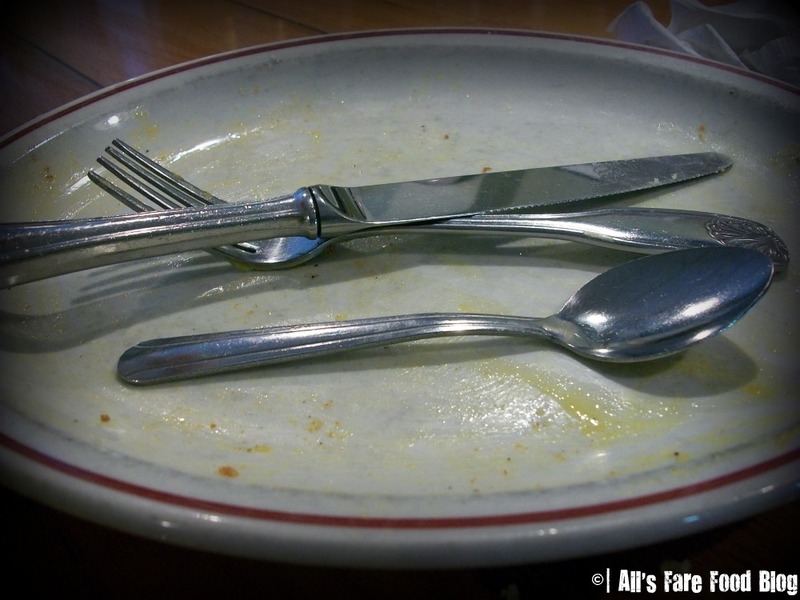 The devastation from the meal and the clean plate showing how much we enjoyed ourselves. Yes, we finally found a great breakfast in metro Boston. It only took three-quarters of a year but this dish is well worth the drive to wake up to such a great meal! Learn more about Sugar Mags at www.sugarmags.com. 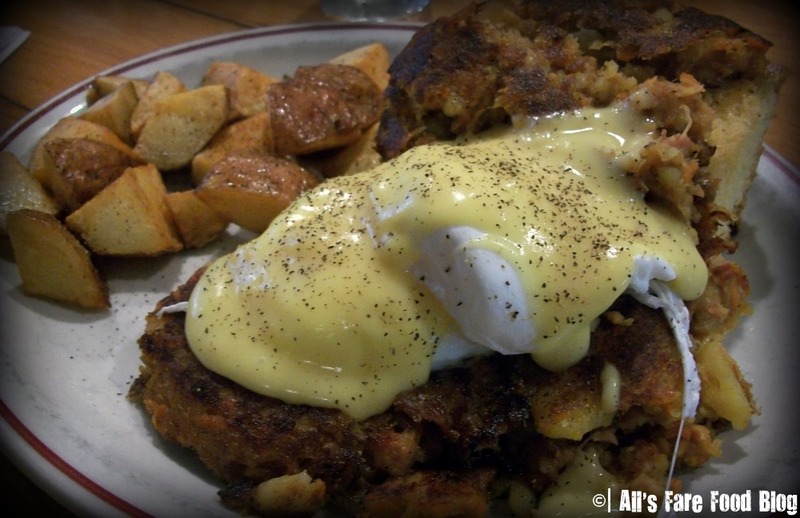 This entry was posted in Cuisine - American, Places - Massachusetts and tagged breakfast, corned beef hash, French toast, Gloucester, Massachusetts, pineapple fritters, Sugar Mags by Christina. Bookmark the permalink. Thanks Christine. 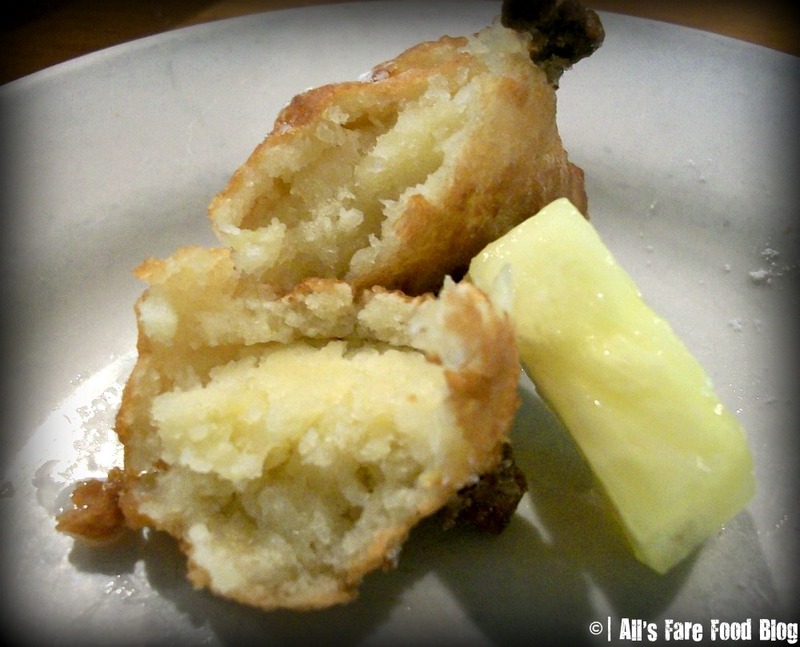 Now I am REALLY hungry for the Irish Bene and deep-fried goodness!! Y-U-M-M-Y!